Americans have found a no-cost painkiller they say is as effective as prescription drugs: prayer. This comes as no surprise to preachers and doctors who say they have seen the way personal faith can influence a patient’s reaction to all kinds of pain, psychological or physical. “Prayer enables you to take your mind and place it in a new perspective,” says family doctor Harold Betton, who also is pastor of New Light Baptist Church in Little Rock. By focusing on prayer, he says, believers reduce stress and gain control over pain. Why that might work is open to debate. Columbia University psychologist Richard Sloan says it has more to do with the power of distraction than the power of prayer. Hundreds of papers have been published on the possible link between faith and health, but scientifically, “it’s very hard to measure,” says John Tarpley, professor of surgery at Vanderbilt University. Pain, in particular, is subjective and can be influenced by a variety of factors that are difficult to assess by scientific standards. “What we have to worry about is the difference between showing association and causation,” says Tarpley, who teaches a class on spirituality and medicine at Vanderbilt. For some deeply religious people, pain can be redemptive, but faith also can carry an extra burden. “In African-American belief, (often) pain is part of what we are expected to endure,” says Glenda Hodges, director of a course in spirituality and medicine at Howard University’s College of Medicine. But “it doesn’t work that way,” says Harold Koenig, professor of psychiatry and behavioral sciences at Duke University. 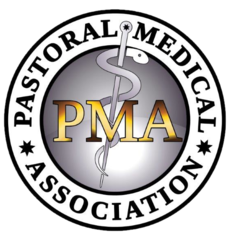 Faith and medicine “work beautifully together. Koenig and colleagues reported last month in the Journal of Nervous and Mental Disease that among sickle cell patients, those who go to church at least once a week had the lowest pain scores. “People who are more involved with religious organizations seem to be able to cope with stress,” Koenig says. 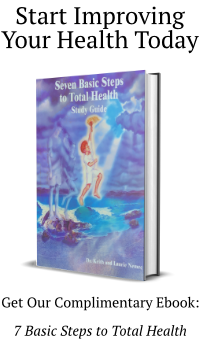 Get healthy by living the Seven Basic Steps to Total Health™ everyday. By living these Seven Basic Steps you virtually eliminate all inflammation (which is the root of all disease) and heal all Leaky Gut Syndrome. Let us again say what it is NOT. It is not the power of the mind or the power of distraction by focusing on something else, as psychologists have said. It is not the saying of words just to say them hoping if you say enough Our Father’s or Hail Mary’s you will somehow tip the scale and God will decrease your pain. It is not the power of positive thinking and affirmation which says if I think it enough and say it enough it will happen. It is being still and listening to the voice of God being spoken into your heart. Prayer is much more “listening to God” than “talking to God”. Your prayers should be more “God show me the way” rather than “God take it away”. Show me the way that this situation in my life will help me to grow and transform into your image. So, when it comes to pain it is not a prayer of “God take away the pain” but “God show me how to grow and mature in the pain. Show me what the pain means (like He might reveal that your pain is because you are not living the Seven Basic Steps to Total Health such as not drinking enough water or eating cooked, toxic animal products or eating refined sugar). One of the most powerful prayers when you are in pain is the knowing that the pain will usually leave when you no longer need it to leave, which means you have become free from the pain even while you are still in the pain. The question is this: Would you rather get rid of your pain knowing it will always come back again and again or would you rather become free from the pain, which means it elicits no future or past thinking (anxiety) and no negative emotions (fear, worry, doubt) only bringing peace and joy? Remember the choice is yours but with the first choice you have a short term gain but a very long term loss, while the second choice might appear to be a short term loss but in actuality is a very, very long term gain.